Could Stem Cells Revolutionize Cataract Surgery? One thing is certain in this life (besides death and taxes): eventually we will all get cataracts. 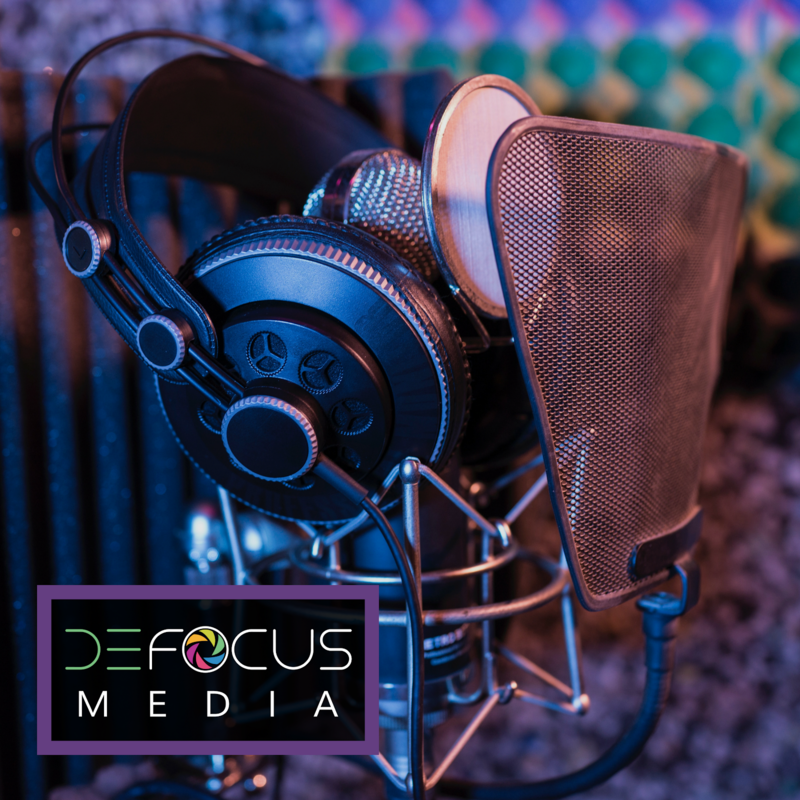 As one the most commonly performed surgeries in the USA, cataract removal is a highly specialized refractive procedure in today's world, restoring vision and also minimizing the reliance on glasses in some cases. But while scientists have been perfecting artificial lenses (called IOLs), manufacturing a "holy grail" lens that focuses from distance to near like a young person's natural lens has proven extremely difficult. Imagine a world where you didn't have to implant an artificial lens that is limited by the physics of acrylic -- a world where you regrew your own lens that acted just like the 20 year old eye that you remember so fondly, adjusting freely to distance and up close ranges with reckless abandon. Sound like a pipe dream? Not so fast. 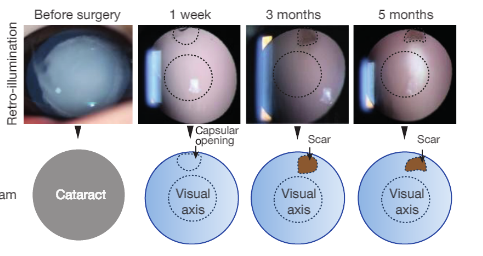 Fresh off the presses in last month's Nature, scientists in China successfully regrew natural lenses in infants with congenital cataracts using their own lenticular stem cells. 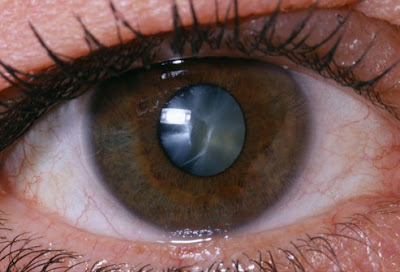 The idea to use stem cells to regrow a lens was a common nuisance following cataract surgery. Sometimes after removing the cataract and replacing it with an IOL, cells will grow across the implant and cause blur and distortion. It's called posterior capsule opacification. These cells are easily removed with a quick laser procedure, but where did they come from? During cataract surgery, ophthalmologists leave the capsular bag of the natural lens behind to help hold and support the implant in its' proper place. The capsule may have a few 'lens epithelial stem cells" or LECs as the study author refers to them left behind from the lens removal, which begin to divide and grow. All this time doctors have treated these cells like annoying debris, but Dr. Lin and his team of researchers had a different opinion. If these stem cells were growing, why wouldn't they keep growing a whole new lens? They tested their theory in mice and rabbits, and when those studies proved effective they moved forward to the biggest challenge yet, human infants. In 3 months, Dr. Lin's team reported the presence of a biconvex lens following cataract removal. A small 2 mm scar remained where the incision was made during cataract surgery that would have damaged the stem cells in that area. Larger incisions would cause larger scars, making the surgery ineffective. This is one of the reasons that many doctors question whether an adult procedure of this nature is possible; typical adult cataract surgery techniques require incisions 3 times larger than those used by Dr. Lin and his colleagues. There are very few options for infants born with congenital cataracts; implanting IOLs to correct vision after removing the cataract causes significantly more issues in babies than in adults, and many doctors prefer leaving the child aphakic (without any internal lens) and relying on contact lenses for vision correction to avoid the risks. Dr. Lin and colleagues conducted their research on a group of 12 infants with bilateral congenital cataracts. Half of the children were left aphakic (normal standard of care) using normal cataract extraction procedures, and the other half were left aphakic with "minimally invasive" cataract surgery that left layers of LECs behind. In 3 months a biconvex lens had regenerated in the eyes with stem cells left behind, and in 8 months that lens was the size and shape of the lens of a normal infant that had not undergone cataract surgery, and also showed accommodative (or focusing) ability. When Dr. Lin and his colleagues performed the "minimally invasive" technique required to leave behind enough stem cells to regrow a lens, they made only a small, 2 mm incision into the capsular bag. In today's adult cataract surgery, a 6 mm incision into the bag is standard. Removing an adult cataract through such a small incision would be extremely challenging with today's technology, so we would need innovations to make this procedure possible in adults. Could adult stem cells have the same capacity to regrow a lens as infant stem cells do? Would you need to leave behind more of them to get the same result? We just don't know what an elderly adult's stem cells would be able to accomplish yet. Will patients be willing to wait 3-8 months (or longer if adult stem cells work slower as some predict!) to be able to see again after cataract surgery? In today's world of IOL implantation, cataract patients see clearly the very next day. Waiting for months at extremely high Rx ranges (without a natural lens, your Rx would hover in the +20.00 mark!) would probably be a dealbreaker for patients even considering this type of procedure. We have a lot left to learn and understand, but we are standing on the edge of the next frontier of exciting new discoveries and research ahead in the world of ocular health! It all depends on Ophthalmologist how to treat you during the cataract Surgery. So a good physician should be on your first priority who treat you well with cataract.